“the Content” means copyrighted material, trademarks, and other proprietary information, including, without limitation, text, software, photos and/or graphics contained in the Site. “the Customer” means you or any other person or entity using the Service, or, in the case of “the Trade Customer”, means the customer or business named in the Vehicle Management System Trade User Application applying to receive the Service. “the Materials” means the information stored on the Site including, inter alia, any report produced by the Company in providing the Service to a Customer whether in electronic or written form. “the Service” means the product provided by the Company to the Customer and which includes a vehicle data check. 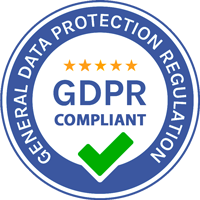 Vehicle Management System is committed to processing data in accordance with its responsibilities under the GDPR. a. This policy applies to all personal data processed by the VMS.ie. b. The Responsible Person shall take responsibility for VMS.ie’s ongoing compliance with this policy. d. Vehicle Management System (VMS) shall register with the Information Commissioner’s Office as an organisation that processes personal data. a. To ensure its processing of data is lawful, fair and transparent, Vehicle Management System (VMS) shall maintain a Register of Systems. c. Individuals have the right to access their personal data and any such requests made to Vehicle Management System (VMS) shall be dealt with in a timely manner. a. All data processed by Vehicle Management System (VMS) must be done on one of the following lawful bases: consent, contract, legal obligation, vital interests, public task or legitimate interests. b. Vehicle Management System (VMS) shall note the appropriate lawful basis in the Register of Systems. c. Where consent is relied upon as a lawful basis for processing data, evidence of opt-in consent shall be kept with the personal data. d. Where communications are sent to individuals based on their consent, the option for the individual to revoke their consent should be clearly available and systems should be in place to ensure such revocation is reflected accurately in the Vehicle Management System. Vehicle Management System (VMS) shall ensure that personal data are adequate, relevant and limited to what is necessary in relation to the purposes for which they are processed. a. Vehicle Management System (VMS) shall take reasonable steps to ensure personal data is accurate. a. To ensure that personal data is kept for no longer than necessary, Vehicle Management System (VMS) shall put in place an archiving policy for each area in which personal data is processed and review this process annually. a. VMS shall ensure that personal data is stored securely using modern software that is kept-up-to-date. d. Appropriate backup and disaster recovery solutions shall be in place. In the event of a breach of security leading to the accidental or unlawful destruction, loss, alteration, unauthorised disclosure of, or access to, personal data, VMS shall promptly assess the risk to people’s rights and freedoms and if appropriate report this breach to the relevant authorities. VMS.ie © Copyright 2019 All rights reserved.